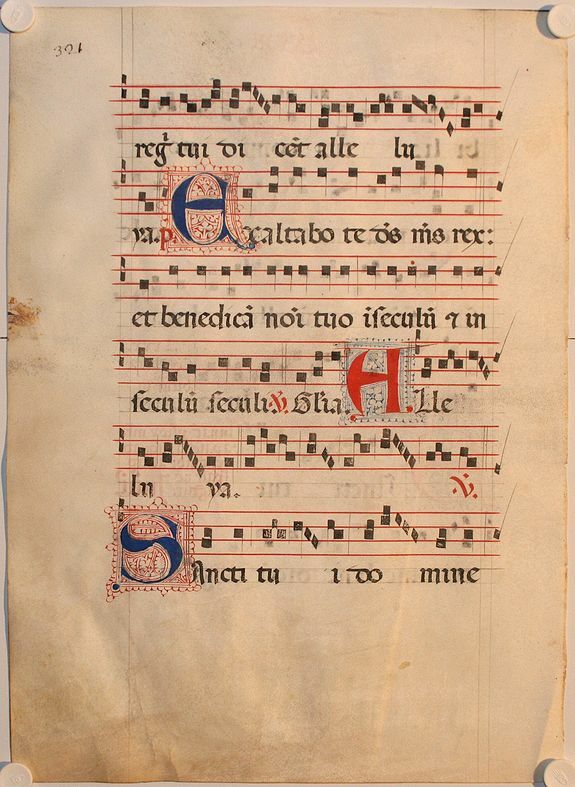 ANTIPHONARIUM -Leaf on vellum from an antiphonary. Size : 16.1 x 11.8 inches. / 41.0 x 30.0 cm. Description :Lovely leaf of fine vellum containing four-line music. Each side is decorated with 3 or 1 large initial executed in a very unusual red and blue pen work.